Autism is not an ordinary disease. Lucky for you because you weren’t able to bear such pain that the autistics have. We are all created equally and those who are suffering from autism must not also exclude themselves from using the brilliance and excitement of iPad, the hottest tablet computer manufactured by Apple Inc. Right, in this post, I will share to you the best autism apps for ipad, as the title would suggest. The autism apps for ipad I will discuss here will be beneficial for mothers, sisters, brothers, fathers, and friends of those who are suffering the said neural development disease. Using the iPad app for autism will let them know the disease better and how to approach the patients properly. You should not be intimated with the title of the app’s main title. It is actually an iPad app that relaxes the minds of the readers. It was developed by Red Piston and features animations that will surely maximize the experience of autism patients. The app is colorful and is full of user interactions from the users. I am sure that autism patients will be able to enjoy the app if their parents or siblings read the story for them. 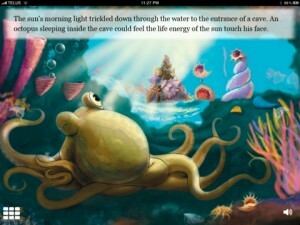 Get the best iPad app for autism – Angry Octopus: A Children’s Relaxation Story at the iTunes store for 7.00 dollars ($7.99). Read the comments of the previous users and you’ll know why they love the Angry Octopus: A Children’s Relaxation Story application at the iTunes store. 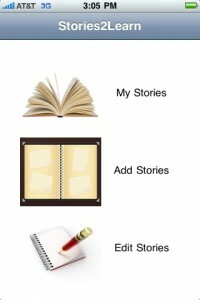 The iPad app Stories 2 Learn or S2L can make you create your own stories by adding texts, audio messages, and even photos! This is definitely one of the best autism apps for ipad since it can improve the social interaction skills of the patients. Likewise, it can also boost their creativity and literary skills. Parents and educators of autism patients will be able to teach them the proper way of how to talk, how to look into the eyes of others as well as to interact with them. 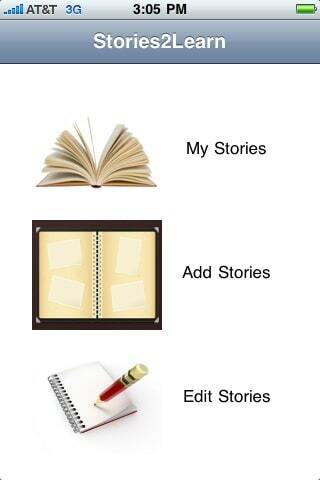 You need to have an external microphone to use the audio function of the Stories 2 Learn app. You can get the best autism apps for ipad – Stories 2 Learn or S2L from the iTunes store for only 13.99 dollars ($13.99). The last but the not the least best iPad app for autism is TappyTunes. The iPad app was developed by UtiliTouch Inc. It is actually a music-related application that will introduce autism patients into different melodies by tapping buttons on the screen. The ipad application for autism – TappyTunes also provides animations, colors, and interactivity that will surely entice the interest of your autism child. Users of the TappyTunes application don’t to have skills in playing guitars or piano because they can do it even just by tapping the app. 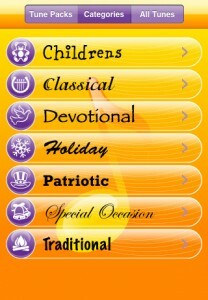 There are plenty of categories from including Holiday, Traditional, and Children’s. The TappyTunes app can also be a good app to expose the singing skills of your autism child as they can sing a long with it. Get the best iPad app for autism TappyTunes for 1.99 dollars ($1.99) at the iTunes store only. Do you have any other autism apps for ipad? Don’t be greedy share them by leaving your comments below! Thanks!